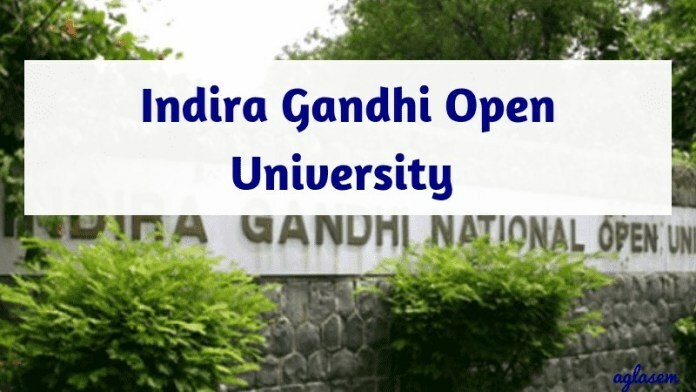 IGNOU Exam Centre June 2019 – Indira Gandhi National Open University has released TEE June Exam Centre. Candidates appearing for the practical exam can check IGNOU Exam Centre June 2019 Regional Centre Wise from this page. Candidates can also check the list of examinees here. Exam Centre, Exam Centre Supdt Name and address, Contact no & email id, and centre clubbed details can be checked from IGNOU Exam Centre. Candidates are also notified that the exam centre allotted will not be changed under any circumstances. Carry original IGNOU ID card along with the hall ticket to the exam centre. Latest: IGNOU has released tentative Exam Centre list for June 2019. The Exam Centre list is available regional centre wise. There is a total of 54 regional centres and 6 sub-regional centre of IGNOU in India. Candidates can check their hall ticket or list of the examinee for practical to check the exam centre code. Check the table for IGNOU Exam Centre 2019 and List of Examinee. The list of the practical exam centre has been released region wise. So, candidates should check the exam centres list as per the regional centre was chosen by the candidate. Candidates can follow the steps listed below to check the list of examination centre. Visit the official website of IGNOU regional centre or click on the link given on this page. Then, click on the appropriate link of the exam centre according to your region. The examinee list will be very significant for the candidates who will be appearing for the practical examination as the list will contain the names of eligible candidates who are eligible to take the practical exam. Candidates can check the list given below to know if his/her name is there in the examinee list or not. IGNOU will release the date sheet for TEE June 2019 online at official website. Students can check the date sheet to know exam date, time, day, and code. The term end exam is conducted 2 two slots Morning and Evening. To appear in the exam the students must submit the exam form and fees. The IGNOU Term End Exam June 2019 hall ticket will release 7 to 8 days before the exam. To download the hall ticket candidates will have to visit the official website,www.ignou.ac.in. Candidates can download their admit card/hall ticket by entering their enrollment number. Students also have an option to collect the IGNOU TEE Hall Ticket from their respective Regional Centre as well. No candidate will be allowed to enter the exam hall without a valid admit card so, students should not forget to carry the hard copy of the same on the day of examination. IGNOU (Indira Gandhi National Open University) is an open distance learning national university located at Maidan Garhi, New Delhi, India. It is the largest university in the world where candidates can do distance learning in various UG and PG courses. The university was established in 1987 by offering only 2 academic programmes. Now, it is offering about 228 certificate, diploma, degree and doctoral programmes. IGNOU conducts the TEE twice in a year one in the month of June, and other in December.